Experience the Blessed Virgin Mary in new thought-provoking ways this Advent by joining Sister Nancy Gunderson and the Oblates of Annunciation Monastery for an Advent retreat on Sunday, December 10, 10 a.m. to 3 p.m. 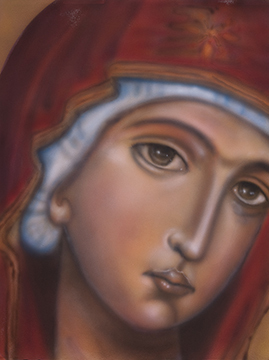 This day of reflection and sharing will allow time to ponder the mystery of the Mother of God. Sister Nancy asks, "Who is this woman who has cathedrals named for her, art created about her, and battles fought in her honor? Why does she return again and again?" All are welcome to attend this retreat. There is no charge to attend. The morning portion of the retreat is held from 10 a.m. to 11 a.m., followed by Eucharistic Liturgy and a light lunch. Retreat resumes after lunch. *Oblates are Christian women and men of varied faiths who associate themselves with a monastery and live according to the Rule of St. Benedict as their state in life permits. For more information, please feel free to contact Sister Patricia, oblate director, or Sister Rosemary, assistant director of oblates, at 701-255-1520.